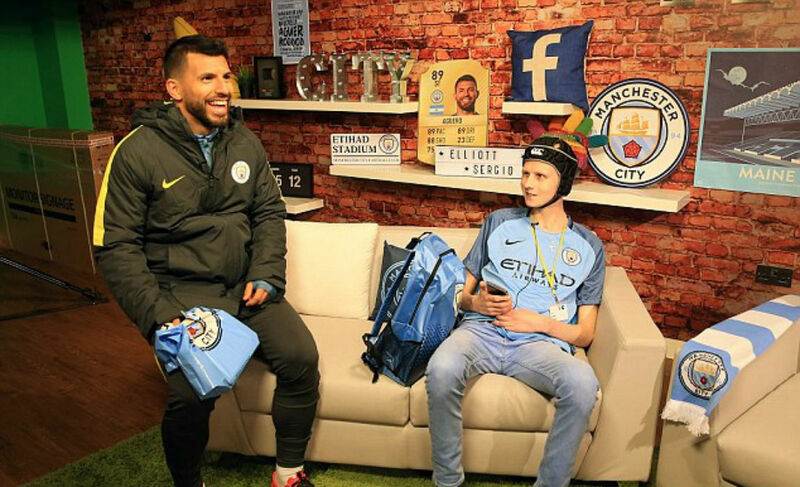 Elliott Fernadez-Sanz, a 19-year-old brave Manchester City fan, returned to the Etihad Stadium to meet his idols. 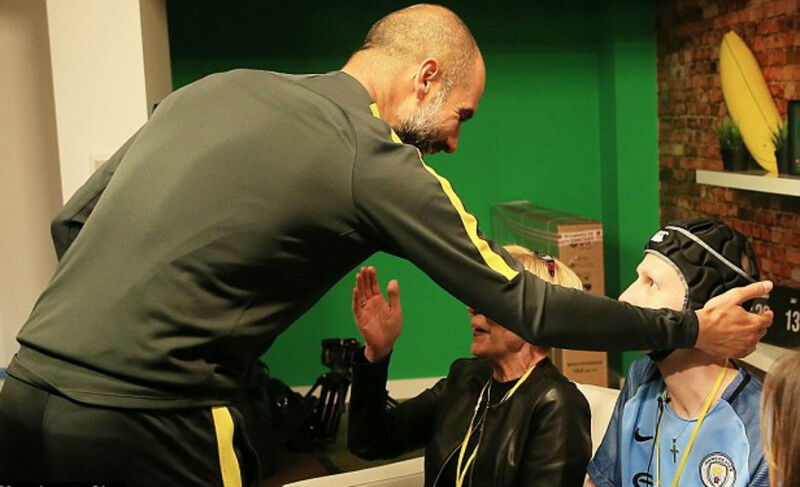 The former Manchester City ball boy Elliott was diagnosed with cancer earlier this year. Elliot was told that he had sarcoma cancer and that he will never be able to walk again. 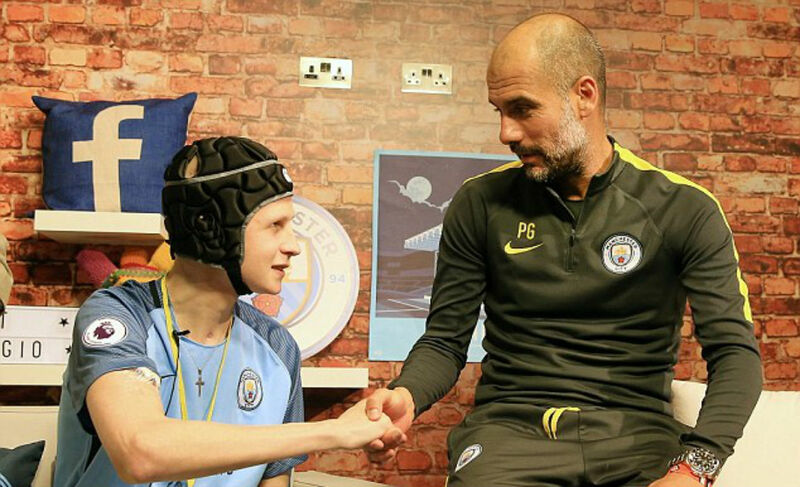 The 19-year-old Citizen was on life support and was told he was three hours from death but the brave boy fought cancer and is back to the Etihad. Interestingly, Elliot also played a key role in City winning the 2012 Premier League title. He placed the ball on the corner spot for Edin Dzeko’s equaliser. 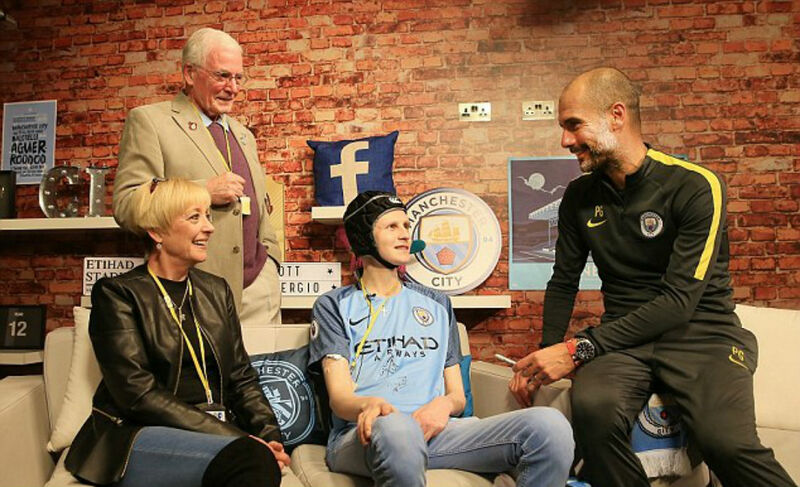 City are working with the Willow Foundation, an organisation that grants wishes of seriously ill teenagers. 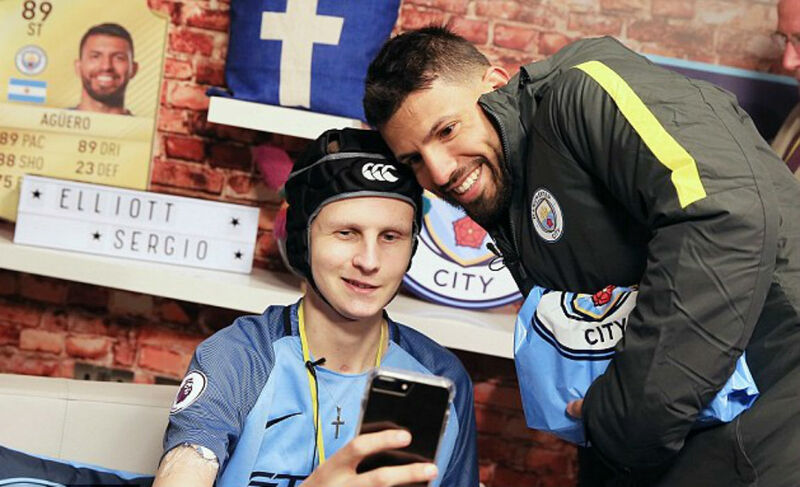 Elliot was invited to meet Manchester City striker Sergio Aguero and watch the team train, but the youngster also got a surprise visit from boss Pep Guardiola. 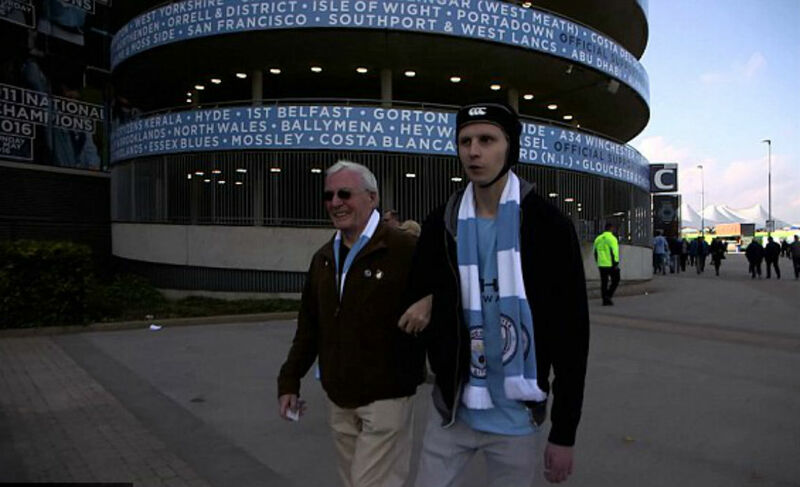 Elliot also attended City’s home game against Everton. 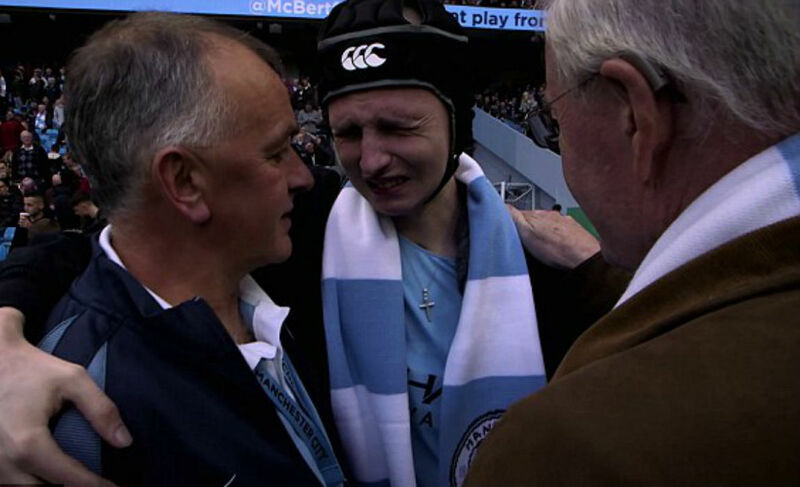 It was a very emotional moment for the youngster as for the first home game he came on a wheelchair but this was the first time that he returned to the Etihad Stadium on foot. Manchester City also celebrated the moment as Elliott was called on the pitch during half-time, where he met his old friends. Elliott said, “It’s so important for me to go to the games, I really enjoy coming with my family. For me, it’s important to keep going – you can never keep me away from the Etihad!